Armenia President Armen Sarkisian issued an official decree on January 14 affirming the reappointment of Prime Minister Nikol Pashinyan in the wake of the political landslide in parliamentary elections in December 2018. Reflecting the country’s dynamically new political landscape, Pashinyan’s “One Step” party secured 88 seats in the new 132-seat parliament, thereby, ushering in a second term as a premier for Pashinyan. Only two other political parties were able to garner representation in the new parliament, with the “Prosperous Armenia” and “Bright Armenia” parties wining 26 and 18 seats respectively. 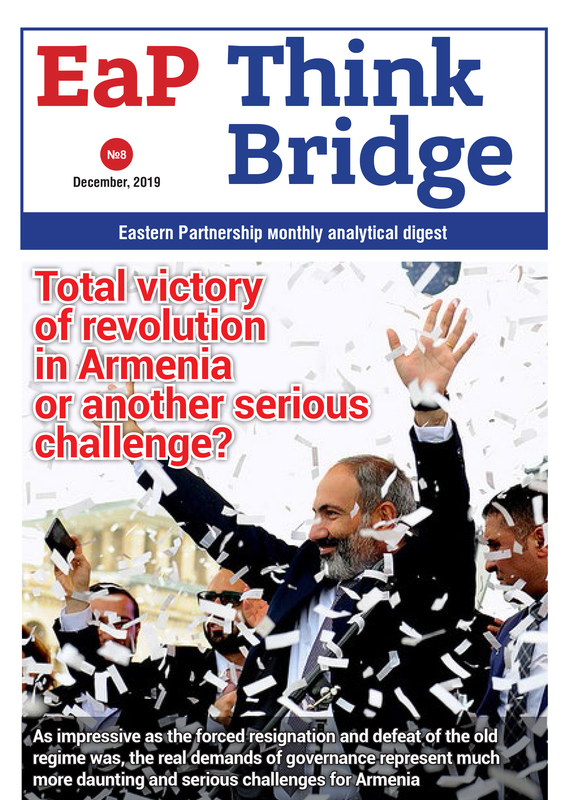 Following the sweeping victory in the 9 December 2018 parliamentary election, reappointed Prime Minister Nikol Pashinyan went on to form a new government, returning most of his former ministers to their previous posts. Of the returning group, the three non-partisan ministers of defense, finance and foreign affairs, as the only ones with previous government experience, were also reappointed. Among the new additions, Pashinyan named Zaruhi Batoyan as the Minister of Labor and Social Affairs. The 39-year-old Batoyan, a former deputy minister in the same ministry, is also the only female member of the new government. The Minister of Justice Artak Zeynalian, a significant senior member of the rival “Bright Armenia” party, was also reappointed. Further moves included the reappointment of two of three deputy prime ministers, Tigran Avinian and Mher Grigorian, with the third post due to be abolished. The prime minister also plans to initiate an institutional reorganization of the new government, with the reduction of the number of ministries from 17 to 12, merging the Ministry of Culture with the Ministry of Education and moving the Ministry of Diaspora to the Ministry of Foreign Affairs. In a more controversial move, however, Pashinyan is also seeking to have the Armenian police, National Security Service (NSS) and the State Revenue Committee (SRC) remain accountable to the prime minister, rather than being subordinate to either his cabinet or the parliament. In a joint statement released by the World Bank and the EU on January 25, a new financial package of over 730 million euros ($832 million) was announced to be invested t in the Armenian transport infrastructure. The fresh aid, running until 2030, comprises a mix of loans and grants which are the part of a broader EU-World Bank Trans-European Transport Network (TEN-T) Investment Action Plan to “boost connectivity and economic growth” in the six countries of the EU’s Eastern Partnership program. For Armenia, the aid will finance projects focused on rebuilding and modernizing roads and railway, logistics centers and border crossing points. According to Ambassador Piotr Switalski, the head of the EU Delegation in Yerevan, the EU has already financed over 90 million euros in loans and 15 million euros in grants for the current reconstruction of two Armenian highways running from Yerevan to the Georgian border, as well as the 54-million-euro modernization of the three Armenian-Georgian border checkpoints. Newly reappointed Minister of Health Arsen Torosian announced on January 23 that the Armenian government plans to introduce an ambitious system of universal national health insurance by 2021 that would be funded by a special new income tax. The plan seeks to modernize and improve national healthcare, while also greatly expanding free public access to healthcare. After the privatization of most hospitals in the 1990s, only state-run polyclinics are legally required to offer free basic medical services, but also including surgery, for children, toddlers and infants, although reportedly families must also make informal payments to doctors for such care and services. The Minister of Health Torosian has also pledged to ensure “accessible and high-quality healthcare” and has already initiated an effort to fully cover the cost of cancer surgery performed at local hospitals. The cost is to be expanded this year to cover financing for expensive radiation therapy for roughly 200 cancer patients. Based on the 2019 state budget, expenditure on health care is set at 90 billion drams ($186 million), a figure that also covers increased salaries for some 14,000 doctors and other medical personnel working in the state-run polyclinics. After several years of notorious corruption and inefficiency, on January 17 the Armenian State Revenue Committee (SRC) hailed a significant increase in revenue and tax collection for 2018. According to the official figures, the SRC posted a more than 14% increase in the collection of taxes and customs duties last year, with a total of tax revenues worth 1.3 trillion drams ($2.7 billion), an amount that exceeded the government’s official target by 3.5%. While the increased tax collection was attributed to the improvement in efficiency and administration, the positive figures also bolstered Prime Minister Pashinyan’s promises to combat tax evasion and root out corruption. According to Pashinyan, this pledge was further reaffirmed by recovering of more than 20 billion drams ($42 million) of unpaid taxes from some 73 companies. Arriving in Moscow on a one-day visit on January 25, Armenian Prime Minister Nikol Pashinian participated in a meeting of the Eurasian Economic Commission (EEC), which deals with the issues related to the recent transfer of the one-year presidency of the Eurasian Economic Union from Russia to Armenia. Former Armenian Prime Minister Tigran Sarkisian is also set to continue his term as the head of the EEC Executive Body through the remainder of 2019. After the opening of the EEC session, Prime Minister Pashinyan met with his Russian counterpart Dmitry Medvedev, which was followed by a meeting with a group of Russian-Armenian businessmen, in a bid seeking to promote investment in Armenia. According to the official Armenian government data, for the period of January-November 2018, the Eurasian Economic Union accounted for 27% of foreign trade, with the European Union in a close position accounting for 25% share. In an unannounced meeting on the sidelines of the World Economic Forum in Davos, Switzerland, on January 22 Armenian Prime Minister Nikol Pashinian met with Azerbaijani President Ilham Aliyev for “informal” talks on the Karabakh conflict. In a subsequent statement issued by the Armenian prime minister’s office, the 90-minute meeting consisted of the leaders’ “exchange of views” on the current state of the Karabakh peace process and included “further discussions”. Although the meeting is the third such encounter, following meetings in Tajikistan in September 2018 and Russia in early December 2018, unlike more official presidential summits, the informal nature of each of the three meetings offered less substantive opportunities, with no agendas and little real focus. Nevertheless, the meetings do represent the acceleration of the peace process, and follow a significant decrease in normally routine ceasefire violations around Karabakh and along the Armenian-Azerbaijani border areas. The Davos meeting also comes in the wake of a four-hour meeting of the Armenian and Azerbaijani foreign ministers in Paris on January 16 that surprised the mediators from the Organization for Security and Cooperation in Europe (OSCE). In an unusually positive joint statement issued after that Paris meeting, which is the fourth ministerial meeting of such kind in the last six months, Foreign Ministers Zohrab Mnatsakanian and Elmar Mammadyarov “agreed upon the necessity of taking concrete measures to prepare the population for peace”, adding that a presidential meeting would “give a strong impulse to the dynamics of negotiations”. For his part, Azerbaijani President Aliyev has also uncharacteristically hailed the progress in talks with the Armenian side, predicting a “new impetus” to the pace of the peace process. In subsequent statements to the media, Prime Minister Pashinyan explained that although there was no “secret deal” over Karabakh, the leaders have “touched upon all the issues”, but noted that he only represents the Republic of Armenia, and cannot speak for Karabakh (or the Republic of Artsakh as was officially renamed) in the negotiations. In last minute decision, Armenian Prime Minister Nikol Pashinian attended the annual World Economic Forum held in the Swiss town of Davos on January 22-25 and met with a number of foreign leaders.